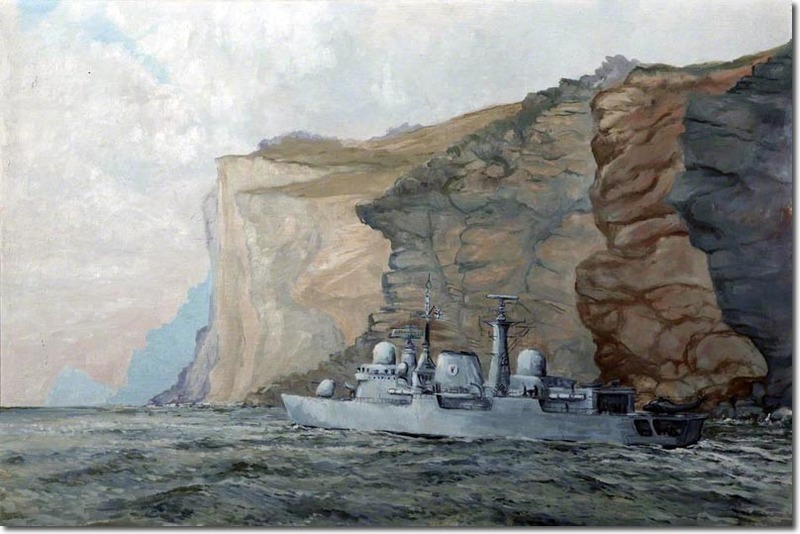 This painting by P. F. Grenier shows HMS Liverpool on the Falklands Patrol. HMS Liverpool did not take part in the actual 1982 Falklands War, but arrived shortly after to relieve those ships which had participated in the campaign. Before 1982, the Royal Naval presence had been reduced to the Endurance Antarctic Survey vessel and even this had been earmarked for withdrawal by the government of the day. The Falklands War changed Britain's attitude and commitment to the islands and a much deeper commitment has existed since 1982.